For being the second most abundant element in the Universe, helium is becoming harder and harder to obtain. Helium is widely utilized in industry and is used in MRI scanners, nuclear power plants, the Large Hadron Collider, and, of course, welding. Helium has remained popular in the welding world as a shielding gas due to its high thermal conductivity. Though widely used, there has been 50% increase in price of helium since the year 2000, a spike which has been fueled by a helium shortage. With the prices of helium in a constant flux, the welding industry is looking for alternatives. Traditionally, the United States has been the leading supplier of helium worldwide but production has declined heavily in the last 20 years. The U.S. Helium Federal Reserve, which provides 35% of the world’s helium, is set to close in September 2021. The closure will decrease helium production and it is predicted to increase the strain on the helium market. The US government has tried to privatize the helium gas supply by closing the reservoir but due to the lack of response from private companies, it only succeeded in contributing to the shortage. When coupled with the fact that there simply aren’t many helium sources left in the world, a dire shortage is looming. How Does this Affect the Welding Industry? It’s evident that the industry must adapt to the shortage of helium but in many cases, the gas is hard to replace. For example, hydrogen can be used quite well for welding stainless steel but underperforms when welding aluminum. 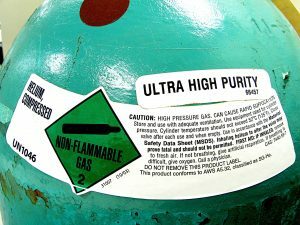 A common solution is creating blends that have a lower percentage of helium or eliminate the gas altogether by combining two different gases like argon and nitrogen for the same effect. These mixed gases could mean the difference in a future with no helium. If the use of helium is unavoidable, it is best to use high quality equipment to ensure that the helium is used in the most efficient way. At Sutton Garten, we strive to satisfy the needs of our customers. Whether those needs include helium, helium gas alternatives, or the latest in high-quality welding equipment and technology, we have it covered. Heat stroke is the most serious heat-related illness and occurs when the body’s temperature regulating system fails. Body temperature can then rise to critical levels of over 104°F. Heat exhaustion is the next most serious heat-related health problem. The signs and symptoms of heat exhaustion are headache, nausea, dizziness, weakness, irritability, confusion, thirst, heavy sweating and a body temperature greater than 100.4°F. Heat cramps are caused by a loss of body salts and fluids from sweating and can result in muscle pain. Heat rash is a very common problem for those who work in hot environments. It is caused by sweating and leads to a breakout on the skin. Heat-related illnesses can affect the health and productivity of workers. Whether you are a manager or employee, be sure to be proactive by keeping indoor areas cool and ventilated. OSHA also recommends other methods to reduce indoor temperatures such as the use of reflective shields to redirect heat, as well as using fans to increase air speed. The CDC also has tips for employers and workers on how to stay cool and prevent heat stress. Sutton-Garten is here to fulfill the needs of our customers. We must provide them with the best products, and back them up with the technical knowledge and service capabilities to solve their problems. Size of the job? That doesn’t matter, but quality and service do. 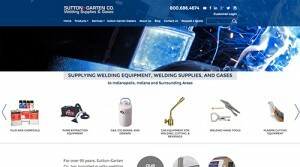 At Sutton-Garten, we understand that the size of the welding job doesn’t matter. That’s why we not only sell equipment and gases to companies, but we also sell to individuals. Besides offering a wide array of products to our larger customers, we also offer training for a variety of certifications and welding techniques. Our training can be customized to help upgrade skills for welders at your company. In addition, we also offer training to fulfill AWS and ASME certifications, at your place or ours, for up to 6 welders at once in stick, mig, or tig welding. And for the hobbyist? At Sutton-Garten, we also offer an introductory welding class. With this training, even the hobbyist will be able to put down a good weld for everything from home repairs to original creations. Our classes are located in a 2000 square foot training facility with welding booths and an air-conditioned classroom. Approximately 90% of the time is spent welding in the lab, so you will get plenty of hands-on training. Contact us now for more information. Since 1918, Sutton-Garten has been supplying quality welding supplies and gases, and now we are proud to announce our new, updated website which provides a more navigable web experience on all devices. The new website features a clean user interface showcasing products and services with fresh photography. Additionally, customers can browse the site on phones and tablets with no need to zoom in and out on our new, responsive site. Take a look at the timeline summarizing our 95-year history before browsing products and services. And if you need a quote, we make it easier on our new website to send files or fill out the form with your specific needs. An improved shopping cart makes shopping for and purchasing your supplies effortless. See us today! We would like to hear from you at SuttonGarten.com. Summer is the slowest season for business regardless of the industry. In the manufacturing arena, it is common for many plants, shop floors, and engineers to take an extended leave. The demand simply isn’t there like it is the rest of the year. 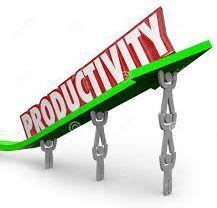 With business orders slowing down it becomes a perfect time to reanalyze different departments of your organization. Here at some pro tips on staying productive during summer months. As June approaches it is the perfect time to inspect all safety procedures, as it’s recognized as the Safety Awareness Month. Carefully going through all safety procedures and doing some light research on any new safety enhancing technologies that have hit the market is something to take full advantage of during this first month of summer. While researching any new advancements in safety, it may be wise to also review safety procedures with all members of your team. Another great way to stay ahead of the curve is to double check all inventory levels. Purchasing any orders now is a great way to stay sharp when business picks back up again. Also, because it is a slower month for most businesses you may experience more customer service or receive your order faster than usual. The last pro tip we like to share, to keep moving forward during downtime, is to do some overall service and performance analysis of your company. A great way to approach this is by conducting a customer service survey with existing customers. Surveys can provide your customers with more information or remind them of important changes or innovations in your organization. It’s a great way to stay gently on top of their mind for future business. Surveys also benefit you by allowing you to spot any trends. Spotting trends ahead of competition could offer you a significant advantage. Although summer may slow down in direct sales, it can be the perfect time to do some housekeeping items that will propel you forward once the business picks back up again. Stay ahead of the competition and check off these pro tips to have peace of mind your workers are safe, your inventory levels are replenished, and your customers have you top of mind. Staying safe at the workplace can be very different to many people depending on their occupation, field, and level of expertise. At Sutton-Garten, we specialize in helping all within the manufacturing fields, especially welders, remain safe during their work days. By now you have noticed that June is Safety Awareness Month, and you have given thought on safeguarding you and your workers. But what can be done to ensure safety is a number one priority that has not already been in place? Body: In most welding applications it is critical to have all exposed skin covered to prevent burns. Aprons or sleeves that are flame resistant and durable are best fits. Duck and leather options are highly recommended. Respiratory protection: The most popular amongst our offerings is the Miller Respirator which defends against the most demanding welding environments. If you are looking for a specific style or requirements just give us a call and we’ll be happy to find it for you. Proper eyewear for eye protection: There are a variety of different approaches to protecting your eyesight including visors, helmets, or googles/glasses. Luckily Sutton-Garten carries all variations. Hearing safety: First best practice is to have an on-site noise check conducted. After noise checks are established a nice add-on safety tip is to use ear plugs for extra hearing protection. Fall prevention by reviewing proper use of harnesses, lanyards, and self-retracting lifelines. If you need any items or want to check other options that are better suited for your workers please review our catalogue or give us a call and a member of our team can help assist you with the right solution. This June, don’t let Safety Month be something you just read about, take action now to prevent any harm to yourself or others. When it comes to welding equipment, at Sutton-Garten, we have spent the past 90 years ensuring our customers have access to the very best. On top of supplying them with the highest quality equipment, this also means getting them the best prices, often at steep discounts—prices not found anywhere else. This means working tirelessly with suppliers to get access to equipment and savings. One of our most popular and reliable relationships is with Miller, and their Build with Blue™ program. The program allows customers to build Miller equipment to order, and then receive free rebates from them. There is a range of equipment choices available for the Build with Blue program. They include MIG welders, TIG welders, plasma cutters, multi-process welders, and welder/generators. Once you have chosen and purchased the qualifying Miller machine through Sutton-Garten, you simply submit a rebate form. You’ll then receive your rebate via email, for a total of up to $500 in savings. It’s that simple. What this means is that through our relationship with Miller—and their unique Build with Blue rebate program—you get the machine you want, built for you, but at a much lower cost than you normally would. You get the same service and quality, for less money. We’re proud to work with such top-of-the-line suppliers as Miller, and we’re very happy to be able to pass savings along directly to our customers. With almost a century in business, it’s just one of the many advantages we’re able to provide. Our Plasma Cutting Equipment Inventory is Growing! When you’ve been in business for over 90 years, you learn a lot about how to meet your customers’ needs and strive to exceed expectations. While there are many factors that contribute to almost a century of this success, one of the best ways to keep meeting needs and expectations is by providing the newest, latest, most advanced technology and products. It’s critical to keep changing with the times, evolving and staying modern. At Sutton-Garten, we achieve this by constantly updating our offerings and working to distribute the latest innovative tools. 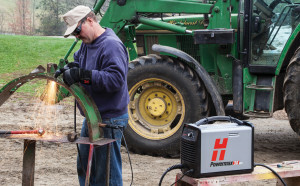 For instance, we’ll soon be adding a Hypertherm Powermax30®AIR plasma cutting system to our rental fleet—and we’re getting very excited about what this means for our clients. The Powermax30®AIR has some features and benefits, including the fact that it’s the lightest, smallest handheld plasma cutting system in its class. This means you can take it anywhere, bringing the system to the job instead of the other way around. Its portability makes it well suited for a wide range of applications, and it’s as easy to use as it is easy to carry. It also uniquely features its built-in air compressor; it’s small in size, but high in performance, with very fast cutting speeds and a superior cut quality. Recommended cutting is 8-10mm at up to 50 mm/min (20ipm). Simply put, it’s a top-notch product. We’re confident that a number of industries will welcome and benefit from the Powermax 30 Air. It’s just one of the many ways we’re continuously improving and growing. At Sutton Garten high-density dry ice is manufactured daily. Dry ice has unique features especially when it comes to its chemistry and quality. Unlike regular ice, as we commonly know it, dry ice does not melt into a liquid rather it dissolves into a gas. This process is known as sublimation. Dry ice is useful for many different industries, including industrial blasting cleaning services. The blasting process has several benefits compared to traditional cleaning methods including environmentally, economically, and timely. The blasting process begins when the dry ice particles are propelled to supersonic speed impacting the surface. The compressed air is pressurized and cleans the surface without causing abrasions. It is the pressurized force that is removing any dirt. The cold temperature then creates a thermo-shock removing any further containment. The final phase is when the dry ice begins to convert into gas leaving only the fallen contaminants on the ground with no further disposal. No further scrubbing or drying time required. Machinery can be restarted immediately after blasting. If you are considering trying the dry ice blasting method on your equipment, please review the following safety tips and contact us on our website. Always use tongs or insulated gloves when touching a dry ice. Dry ice is approximately -109° F and will cause severe frostbite. A mask is recommended for eye and nose protection as well. Ear protection is also required because it is a loud and noisy process. Buy it as close to the time you will use it as possible because all dry ice sublimates very quickly. The best place to store dry ice is in a Styrofoam chest with a loose fitting lid or a well-ventilated container. Airtight containers will not be able to contain the gas once the dry ice sublimates. Also, do not place dry ice on countertops as the freezing temperatures may crack the surface. If you have any further questions or want to schedule a pickup time for your dry ice check out our website here or give us a call at (800) 686-4674. For over 90 years, we have provided quality welding and cutting equipment, supplies and gases to the metal-working industry. We offer rental and repair services for welding and cutting equipment, training for welding certifications, and provide bulk gas and dry ice to the food and beverage industries. To better serve our customers, our team has upgraded all their computer software and handheld devices for the C02 and welding drivers. These upgrades have enabled them to scan the tanks and take print out of the details, such as the tanks associated with the customers. This will also enable them to enter the CO2 orders for bulk deliveries in their devices and process the orders faster and more efficiently. Customers will be able to modify their orders easily and conveniently via the new system. Our fleet of CO2 delivery trucks and nitrogen trailers enable us to fill the liquid cylinders on site at the customer’s facility. This service eliminates handling cylinders, saves on product cost, and cylinders may be filled from a remote fill box or through a Transfill hose, eliminating the burden of moving cylinders in the facility. We deliver liquid CO2, cylinder CO2, liquid nitrogen, helium cylinders, and beer gas for beverage and bulk service needs. We also offer bulk gas installation for argon, oxygen, nitrogen, carbon dioxide, helium and mixed gas systems for higher volume applications. Cryogenic or refrigerated bulk tanks provide safe outside storage of gases that can be piped to stations within the facility. This eliminates the need to handle the cylinders, results in a safer workplace, and reduces the overall cost of the gases. Contact us today to learn more about how we can help you!